Looking for the perfect gift for the hotrod, muscle car or classic car lover in your life? The Original 8-point Auto Antlers are just what you're looking for! 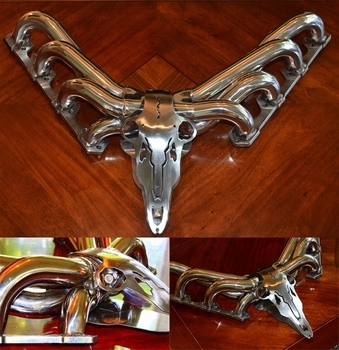 Inspired by the shorty headers many of us have buster our knuckles on these antlers look great hanging as a backdrop over any classic Detroit Iron! Get a set today and give all your friend's one more thing to envy in your garage!